Delineators are fairly diminutive devices yet they serve an extremely important purpose in the context of safe driving and construction. These devices dramatically heighten driver and pedestrian awareness of risks on Tampa Bay roads, parking lots and other areas. Delineators like brightly-colored traffic cones protect sensitive spaces, work crews and others from potentially fatal contact with vehicles. Delineators are used during construction projects, roadway striping projects and other areas where work is conducted. They are also placed in areas that are particularly sensitive to contact with vehicles, pedestrians, bicyclists, etc. Areas from parking lots to roads, transitions, lane decrease curves, highways and entryways/exits benefit from the strategic positioning of delineators. Even Tampa Bay car parks, shopping malls, bridge entrances and gas stations require delineators. Delineators are especially helpful in locations where alignment and traffic flow might be confusing. They serve as a clear form of guidance to keep traffic progressing in an orderly and safe fashion. Delineators are especially important in the context of nighttime driving and inclement weather when driver visibility is limited. These devices are brightly-colored for clear visibility even when Tampa Bay roads are wet. 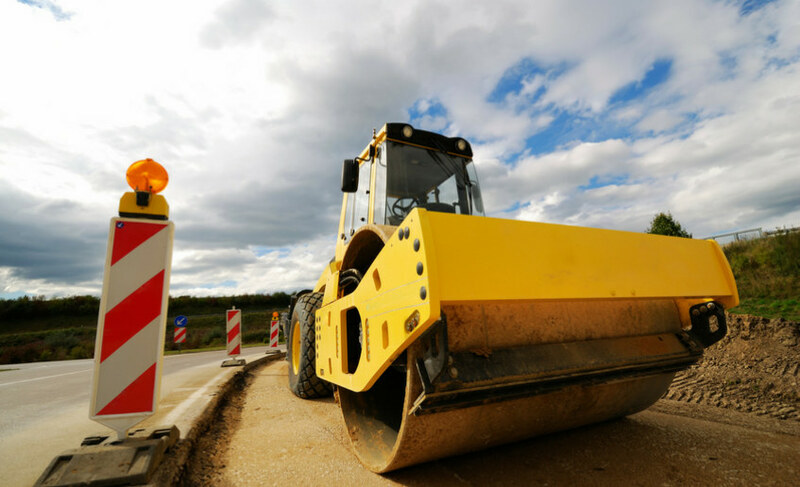 Though delineators certainly indicate the presence of danger and the need for caution in areas where construction is taking place, their primary purpose is to direct traffic in a sensible and safe manner. Delineator posts have progressed in terms of form and function over the past couple decades. Today’s delineator posts are lightweight traffic security products that are clearly visible to everyone in the vicinity. All sorts of delineator post variations exist for a wide array of applications. Contemporary delineator posts are built to take a beating and continue functioning across multiple projects and sites. Delineators are no longer made of wood or metal. Those antiquated versions were phased out years ago as they were unnecessarily costly and cumbersome. Today’s delineator posts are constructed with materials that are not prone to breaking when exposed to weight or pressure. Part of the reason for this progression in quality and durability is the considerable spike in Tampa traffic volume and increases in speed limits. Modern day delineator tubes are comprised of incredibly durable polymers and plastics that can endure damage from the impact of vehicles traveling at a rate of speed around 50 miles per hour or less. Reflective adhesives are often added to delineator posts to maximize visibility. There are all sorts of different delineator post options with unique heights, sheeting, colors, foundations etc. Looper tubes are typically orange in color. They have loop-top engineering that allows for the application of caution tape/rope to enhance utility for just about any situation. Ringtop tubes have a big loop opening for easy handling and placement. This delineator is designed with a reinforced bolt hole along with a knob for caution tape to facilitate wrapping. Grabber tubes are flexible, orange-colored tubes that identify road alignment. They are built with a recessed sheeting space to reduce scratches and tears. The top knob is conveniently positioned for portability and placement purposes. The flared bottom of grabber tubes admits 4.5-inch fall over the weighted rubber base. Channelizers are unmistakable to drivers, pedestrians, and all others. These incredibly bright reflective bands increase driver alertness of Tampa work zones. Built with UV stabilized polyethylene plastic for enhanced durability, channelizers are designed with a molded knob that serves as a top handle. Channelizers also have a mounting hole that facilitates portability, installation and the mounting of a barricade light.